Legacy Whirlpool Hot Tubs are made by Master Spas, an award-winning designer and manufacturer of Master Crafted spa systems. Health and therapeutic relaxation is the catalyst behind every Master Spas creation, and it shows. Click here to find your local Legacy Whirlpool dealer. 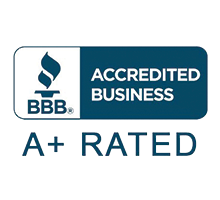 Master Spas’ A+ Rating from the Better Business Bureau isn’t an accident. We have as many as 40,000 hot tubs and swim spas under warranty at any given moment, and over 175,000 Master Spas owners overall. Within our own industry, we are proud of the fact that we were recently rated as having the best customer service of any major hot tub and swim spa manufacturer. Not only will you have confidence that you’re receiving a premium product, you’ll know it’s from a reputable company. Buying from a TradeCertified™ company means you have selected an elite business, based on independent, audited criteria related to sales, service, operations and customer satisfaction. 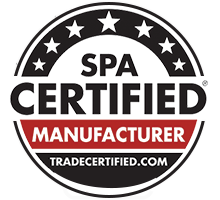 Spa Retailer magazine, recognized as an impartial, authoritative voice in the hot tub and swim spa industry, has awarded Master Spas TradeCertified™ status for 10 years in a row. Master Spas is proud to have earned this distinction again based on independent, audited criteria related to sales, service, operations and customer satisfaction. The BBB Torch Awards for Marketplace Ethics celebrate those who "Do It Right!" Established in 2006 and hosted by the Charitable & Educational Foundation of the BBB, these awards bring attention to the stellar practices that honorees employ to generate a high level of trust among their team members, their customers and their communities. The industry’s first U.L. Certified stereo system featured in a hot tub. The industry’s first U.L. Certified integrated TV/DVD system in a hot tub with their Spa Theater System (STS). Its Patented Eco Pur Filtration System. Master Spas continues to honor the spirit of the INSPIRE Award by holding key leadership positions within the International Hot Tub Association (IHTA), creating new, continuous training platforms for its worldwide dealer network, and providing new, innovative products that make owning and operating a Master Spas hot tub or swim spa easier and more enjoyable. 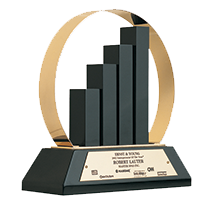 Annually, Ernst & Young honors entrepreneurs whose ingenuity, spirit of innovation and discipline have benefited us all. 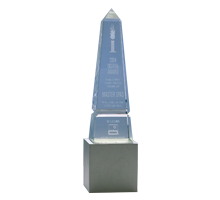 In 2002, Bob Lauter, CEO of Master Spas, was awarded the Entrepreneur of the Year Award for Manufacturing in the Midwest Region. Bob Lauter, CEO of Master Spas, served as president of the IHTA for six years. 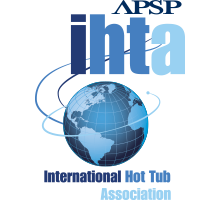 The IHTA is the industry’s main trade organization, of which members are dedicated to only selling products that meet safety and energy standards, assuring that the products they provide are free of harmful substances, and providing their customers the support and service necessary to promote the goodwill of the industry.